I grew up in Hendricks County, Indiana. 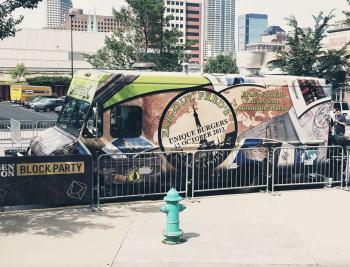 For years, if we ever wanted to do something as cool as a Food Truck Friday, we had to drive to downtown Indy. Well, I’m here to tell you that the funky flavor of Food Truck Fridays is here to stay. And there’s still time left to enjoy them, as the food truck season ends in October. So mark your calendars for the events below. When: Takes place the third Friday of each month. Next one: August 17 from 4:30 to 9 p.m.
Who: Far-Out Fred’s Food Truck, The Kickstand, additional trucks will be announced on the event’s Facebook page. Bring donations such as new or gently used coats, hats, gloves, blankets, tents and personal hygiene products, which will be distributed to those in need at the beginning of December at a Friends of Fred Giving Back event. When: Takes place the fourth Friday of each month. Next one: Friday, Aug. 31 from 4:30 to 9 p.m.
Who: Der Pretzel Wagen, Far-Out Fred’s Food Truck, Geiner’s featuring Mac Genie Truck, Scout’s Treat Truck, Sam’s Upper Krust, The Ice Barn, The Kickstand, Dizzy Izzy’s Food Truck, Karma Kitchen Food Truck, Simply Divine Cupcakes, (trucks will be added and announced on the event Facebook page). Other trucks present will be Brick and Belle and the Bark Truck. These events continue through October, so plan to attend and visit with our community before the weather turns chilly! The trucks plan to return for events in 2019 most likely starting again next April. 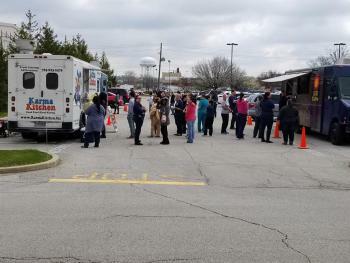 While these are the only Hendricks County towns currently hosting Food Truck Fridays, stay tuned for similar events in Plainfield and Mooresville in 2019. Happy eating! Jamie is a freelance writer with a background in journalism. She's also a stay-at-home mom who loves spending time with her family, enjoying the outdoors, and running. Jamie has lived in Hendricks County all her life and resides in Avon.